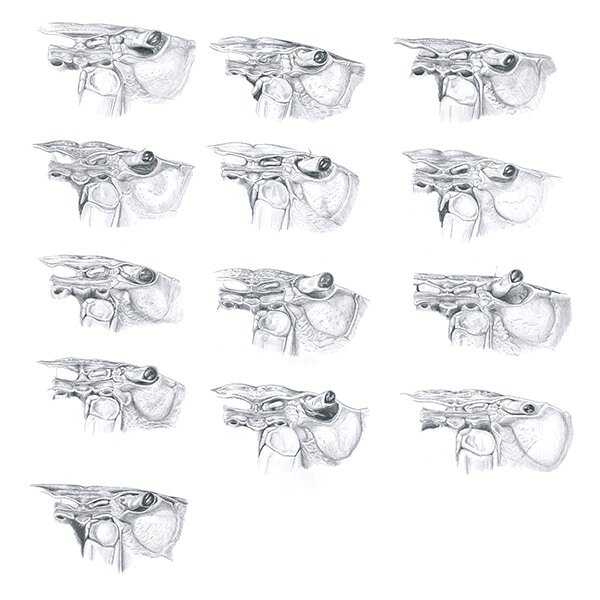 Illustrations of a portion of the face - a comparison of 13 specimens. The face, claw and abdomen of each specimen were drawn from the microscope. A series of 45 drawings to depict 15 freshwater crab specimens from the Northern Territory, Australia. Specimens were drawn from the microscope using a camera lucida. Three illustrations were made of each specimen: the face, claw and abdomen. ​For publication in a peer-reviewed journal. 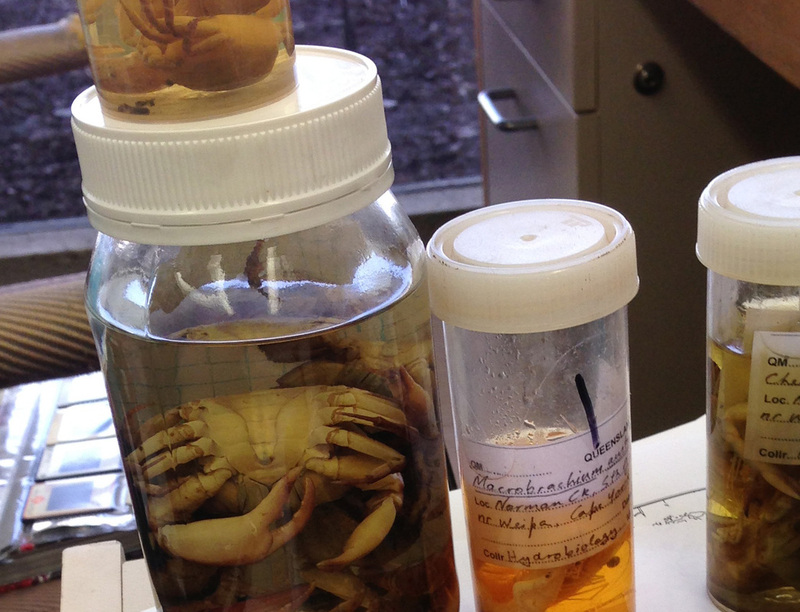 Crab specimens at the Queensland Museum, ready to be drawn.